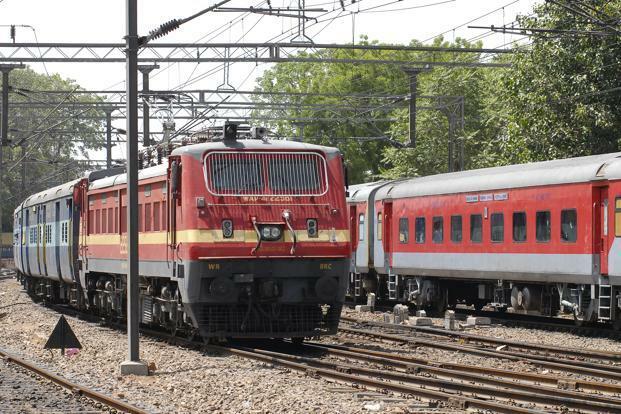 The Cabinet on Wednesday evening flagged off a major reform in Indian Railways, by allowing the formation of an independent railway regulator called Rail Development Authority (RDA), with an initial corpus of Rs50 crore. The regulatory authority will change the landscape of Indian Railways as it will help the national carrier take decisions on pricing of services commensurate with costs, protect consumer interests, suggest measures for enhancement of non-fare revenue, promote competition and encourage market development, create positive environment for investment, promote efficient resource allocation and benchmarking of service standards, and suggest measures for absorption of new technologies and human resource development. Until now, reforms in Indian Railways like an increase in train tariffs and reduction in the number of railway employees have been withheld due to political reasons. The need for a rail regulator has been emphasized since 2001 by various committees. The first recommendation for an independent rail regulator came in 2001 when an expert group under the chairmanship of Rakesh Mohan suggested the formation of a regulatory authority to fix rail tariffs. Later, several railway committees suggested a Railway Tariff Development Authority. The most recent recommendation for RDA came through the National Transport Development Policy Committee (NTDPC) in 2014 and Bibek Debroy’s Committee in 2015. In Railway Budget 2015-16, minister for railways Suresh Prabhu had announced that for the purpose of orderly development of infrastructure enabling competition and protection of customer interest, it is important to have a regulation mechanism independent of the service provider. Further, it was proposed to set up a mechanism for making regulations, setting performance standards and determining tariff. Tariff determination: The regulator will frame principles, recommend tariffs, principles for classification of commodities, frame principles for social service obligation and guidelines for track access charges on dedicated freight corridors. Ensuring fair play: The Railway Board has been often accused of bias. The regulatory body will ensure level-playing field for all stakeholders. It will help propose modifications and send suggestions or advisory notes on investment in railways by the Indian Railways, make suggestions regarding policies for private investment to ensure reasonable safeguards to PPP investors and to resolve disputes regarding future concession agreements. Setting standards: It will help set efficiency and performance standards, and disseminate information in line with global best practices and benchmarking. The RDA will have a chairman and three members with a fixed term of five years each. They can be removed by the Central government only on certain grounds, including insolvency, conviction, misbehaviour, physical and mental incapability. The organisation will be set up with an initial corpus of Rs50 crore and can engage experts from relevant areas for assistance. It will be an independent body with a separate budget. The independence is ensured through provision of a separate budget, and the appointment and removal process. The Central government will appoint the chairman and members by choosing from a panel of names recommended by the search and selection committee consisting of cabinet secretary as chairman, chairman railway board, secretary of department of personnel and training and chairman of any regulatory body of the Central government nominated by the cabinet secretary.